The most common transmission you see in cars today is the 5-speed. 4-speed models are also available but the 5-speed remains ever popular. The components of the transmission are similar to the 2-speed transmission you’ve seen with additional gears and shafts to complement the speed. The transmission consists of 5 speed gears and a reverse gear. The shift lever controls three forks which are held together by three rods and engage the mechanism. A rotation point on the center of the lever allows you to handle the gears. The knob on the lever acts opposite to the motion of the corresponding rod and fork. For example, when you want to apply the first gear you move the knob forward. This enables the rod and fork for the first gear to be pulled back. Different forks and their collars are engaged when you move the shifter either right or left. The collar will engage a gear in case the shifter is moved forward and backward. 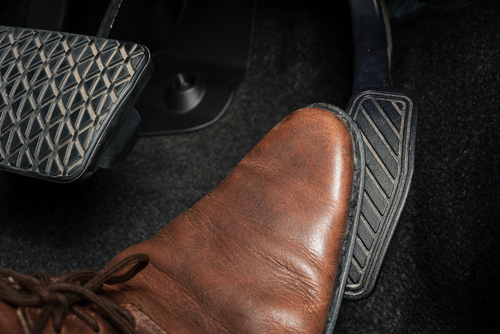 The reverse gear, as the name suggests, is applied when you are backing the vehicle. The gear which handles it is called an idler gear. It remains true to its function even in design. It is turned in the opposite direction of other gears. This is done to ensure the gear is impossible to apply if the vehicle is in a forward motion. In the off chance, you do engage the reverse gear, the dog teeth wouldn’t. Instead, you are treated to a lot of noise which indicates the error of your gear switch. For a more in depth look, talk to the experts at New Jersey State Auto Auction. Now that you are familiar with the different shafts in the transmission, here are the other components which complete its design. Gears: The gears are toothed wheels which are used to change the relation between the speeds of the engine and the wheels. The driver can select any one of the gears to control the speed of the vehicle. These gears are placed on bearings allowing them to spin on the shafts. They are not attached to the splined shaft. In case the car is in motion with the engine turned off, the shaft is the only part which moves whereas the gear and layshaft remain stationary. Collar: The collar is used to attach the splined shaft to one of the two available gears. The splines connect it to the shaft and enable it to spin along with the shaft. The collar is quite mobile and can slide to either side in order to connect the gears. Dog teeth: These are grooves on the collar which can easily lock onto the holes of the gears and engage them in order to power the vehicle. Gear selector fork: The gears on the shift lever are connected to the collar through a gear selector fork. When you select any one of the gears, you move the dog teeth slide in and out of mesh. 2-speed transmission engines are a rarity with 5-speed versions becoming the norm. However, the components remain the same with an additional two or three gears and a more complex model of the transmission. To know more, get in touch with the experts at New Jersey State Auto Auction. What Does It Mean When Your Car Smells Funny? If you notice a distinctively sweet smell in your vehicle, and you are sure that it isn’t accidentally spilled maple syrup, then this is most likely the smell of antifreeze. Besides this, if you also notice a film-like fog forming on the car’s windshield while the heater is operating, it’s yet another clue to a leakage. If you can smell powerful, acrid odor in your car, it probably means that the clutch or brake is burnt. 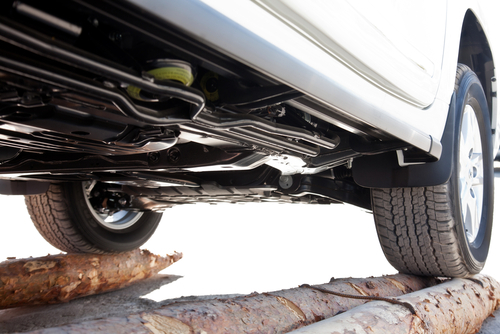 Your vehicle is likely to smell funny if you leave the parking brakes on or ride the brakes. Besides this, frozen parking brakes or a stuck caliper could also cause your car to smell poorly. It could also be a sign that the clutch is slipping. This is because either it is worn out or because it requires some adjustment. In those systems which have hydraulic clutches, the slipping clutch issue could also be that the hydraulic system possible needs inspection. In order to know more about the causes behind the foul smell in your used car, visit the New Jersey State Auto Action today. What Is Rev Matching and Is It Really Necessary? Rev matching is the process of matching the operating speed of the vehicle’s gear to that of the engine. If the engine rotates too quickly, it may become necessary to change the gear of the vehicle to match the rev of the engine. The power band is the range of optimum efficiency that is within the operational rotational speeds of the engine and it is at this point where you can achieve the fastest acceleration. In most cars the gear boxes are designed to automatically get ready to start the engine’s power band when you change gears while driving and accelerating. The top or highest speed of the car will give you maximum acceleration. Depending on the speed at which you’re driving your car different gears can be used – first, second, third, fourth and fifth – first gear being the slowest speed and fifth gear being for the highest speed. If you have your car on third or fourth gear and aren’t accelerating too much or are moving at a very slow speed this could damage the engine significantly. Similarly, if you are engaged in first or second gear and are driving at higher speeds of 30, 40 or 50 mph this could also cause severe damage to your engine. This is why rev matching is extremely important and is truly necessary. If you want to know more about rev matching, come into New Jersey State Auto Auction today. Posted in Uncategorized | Comments Off on What Is Rev Matching and Is It Really Necessary? What Is A Drivetrain In A Car? The drivetrain is the cluster of electro-mechanical components in a car that provide power to the driving wheels in order for the vehicle to move forward. The drivetrain includes the transmission, driveshaft, axles and wheels. The drivetrain works in conjunction with the engine to create stability for the car, turn the wheels and provide enough power so that the vehicle can move forward. With Front Wheel Drive, power is mainly delivered to the driving front wheels. These wheels have two components: They steer as well as pull the car forward. The engines are generally mounted in the front and offer good traction. In a rear wheel drive vehicle, the wheels in the rear are the driving force behind the vehicle while the ones in the front are used for steering. These cars are in turn more balanced. The engine is placed longitudinally and is connected to the drive wheels at the back through a driveshaft connected to a differential; they offer immediate torque and power. In 4WD, power goes from the engine to a transmission and then it gets divided between a front and rear axle. These vehicles have good traction as well as power and are well suited for off-road terrains. Normally, driven in the RWD mode, power is transmitted to all the wheels, when required. AWD is similar but gets power to all 4 wheels simultaneously at all times. The engines are very compact. What you have to ensure under all conditions is the wheel alignments. If you feel a pull towards the left or right, be quick to tug it to your nearest mechanic and get it checked out immediately. Using proper tires for your specific drivetrain is also very important which helps to improve the longevity of the components by ensuring less wear and tear. For more details, get in touch with New Jersey State auto Auction. Posted in Uncategorized | Comments Off on What Is A Drivetrain In A Car?